Requirements: Dr. Phil’s online store, TheBookNook.com, wanted to have the ability to retail eBooks in addition to print books. The Dr. Phil television show also desired the ability to hand out eBooks on the show. Dr. Phil is a well-known brand, author, speaker, and celebrity. His team was looking for a solution that would allow his primary bookstore, TheBookNook.com, to sell eBooks directly from their site. Unlike other simple affiliate programs, they also wanted to stay connected to the purchaser, data on the book and user, and significantly more revenue than a standard program. Through BookShout’s innovative Affiliate Reseller Program, Dr. Phil was able to accomplish all his goals. His team was able to earn upwards of 3x the revenue than from other sources and build a relationship with a purchaser–something no other eBook retailer was able to provide. 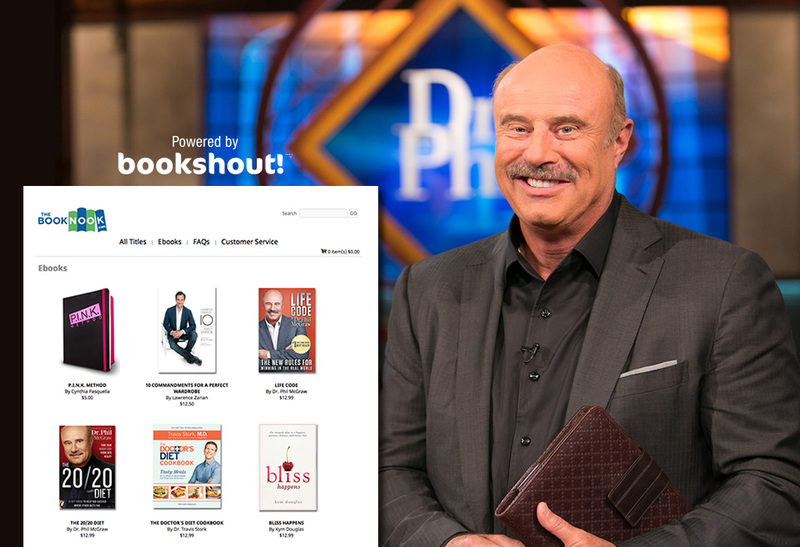 In addition to using BookShout technology to help sell more eBooks, the Dr. Phil Show has ordered eBook gift cards to be handed out on the actual show. With certain topics and guests, the Dr. Phil Show has the ability to request eBook gift cards that can be shared with those who attend the filming at their studios. As with many of our partners, a small conversation has turned into BookShout providing a suite of services. We are honored to serve Dr. Phil and his team and look forward to growing the relationship into many new areas in the years to come.